Cake is one of life’s sweetest pleasures. Whether your tastes lean traditional or out-of-this-world unique, New York has a cake shop to suit you. Here are 10 wonderful cake shops in New York State. New York City cake lovers flock to Billy’s Bakery for classic, indulgent cakes and the café’s cute, pastel aesthetic. Try the red velvet or famous icebox cake at one of its three Manhattan locations. Lynn and Bam are cheesecake masterminds, churning out 10-inch cakes in a staggering variety of flavors that don’t compete with the delicious flavor of the cheesecake itself. Cheesecakes at this Albany cake shop are made fresh every day. Cake-making can be an art form, and few businesses understand this like Lulu Cake Boutique. The award-winning shop’s cake artisans obsess over every detail, from nailing the optimum texture and sweetness to achieving the perfect frosting detail. Patrons of this impressive cake shop have deemed its owner Denise the “cake boss of Rockland County,” and it’s not hard to understand why. Their custom-made cakes take on dramatic forms that are bound to impress guests at any birthday party, wedding, or other cake-worthy event. This boutique bakery in Rochester is a favorite among local brides and grooms. Highly rated on the Knot, this cake shop crafts gorgeous desserts, from exquisite cakes to homemade donuts and macarons, from scratch. WE'RE BACK and we missed you! This weeks Macaron flavors are inspired by Park Ave fest! Vanilla, Root Beer Float, Pink Lemonade, Cotton Candy, Spicy Caramel Popcorn, and Fudge! Open 12-6! The Sweet Peace makes custom cakes that dazzle everyone from birthday-party attendees to wedding guests. They also work with any dietary restrictions, making vegan, gluten-free, and sugar-free cakes in a peanut-free and tree nut-free facility. 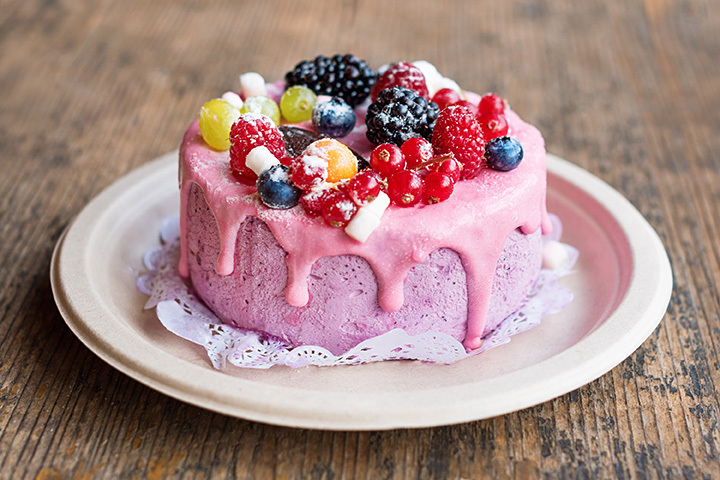 Buttah has locals swooning over its amazing cakes. The tiny café serves coffee and pastries as well, but its cakes, simple and carefully crafted, totally steal the show. Finely crafted with high-quality, fresh ingredients, the cakes at Jean-Claude’s Patisserie in Warwick are made with love. The Warwick cake bakery has fans raving about it on Yelp. Sometimes the perfect dessert is just one bite! Jean-Claude’s petit fours fit the bill! This Castleton specialty cake shop makes delectable cakes to order, whether for a birthday party, an anniversary, or a wedding. They also craft a number of fluffy pastries as well. View more New York Bakeries and Pastry Shops.